Developing our new colour range, this enamel effect Cafetière matches selective colours of both our electric and stove top kettles. 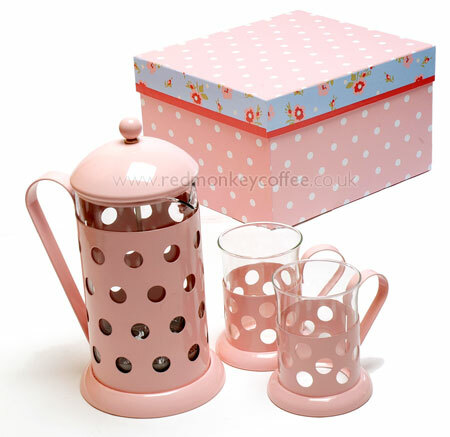 Suitable for any kitchen, the rainbow Polka Dot Gift set sits perfectly with the Pink Kettle. Gift set includes an 8 Cup Rainbow Polka Dot Cafetière with two matching cups, packaged in a pink and white Polka Dot gift box.